I was going to post aTTT with a picture of my son and his fiancée who are getting married June 17. The picture would no download from my iPad. My computer is at the Apple Store getting my files transferred. I’ll check in next Tuesday. Oh I am looking forward to watching your garden grow. and you use the seeds from your previous harvest. Reminds me of My Mom… she use to do the same. Happy Gardening! I found you over at Blogging University. 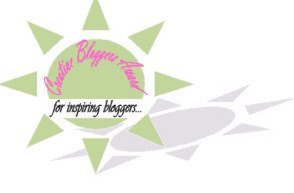 Congratulations for being the Blog of the Week!